On November 28, NASA launched its Antarctica Long Duration Balloon Flight Campaign, an event that gives college students the opportunity to fly experiments aboard a scientific balloon. Payloads included University of Maryland’s Boron and Carbon Cosmic rays in the Upper Stratosphere (BACCUS) mission, University of Hawaii’s Antarctic Impulsive Transient Antenna (ANITA), University of Arizona's Stratospheric Terahertz Observatory (STO-II), and two hand-launched balloons with the High Altitude Radio Frequency Surface Reflectivity Calibration (ANITA Hi-Cal) payloads from the University of Kansas. The five payloads took flight from a balloon launch site on Antarctica’s Ross Ice Shelf near McMurdo Station with support from the National Science Foundation’s United States Antarctic Program. The payloads and instruments will provide critical scientific data in the study of cosmic ray particles and the life cycle of the interstellar medium, which is the matter that fills the space between stars in the galaxy. This year, all five balloons remained airborne for six days between November 28 and December 18 – a new record for NASA’s Scientific Balloon Program. 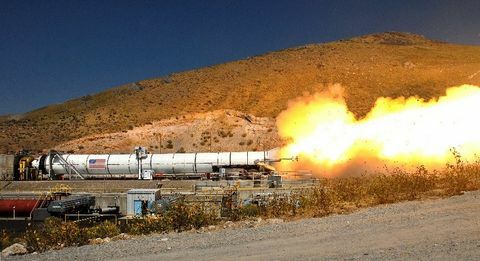 The program is administered by the Goddard Space Flight Center’s Wallops Flight Facility in Wallops Island, Virginia and operated from the Columbia Scientific Balloon Facility (CSBF) in Palestine, Texas. Orbital ATK manages NASA’s Columbia Scientific Balloon Facility and provides mission planning, engineering services, and field operations under NASA’s Balloon Operations Contract. The Columbia team has launched more than 1,700 scientific balloons from seven countries in the past 35 years. NASA used its largest zero pressure balloon for the first three flights, which at 40-million-cubic-feet of volume is as large as a football stadium when fully inflated. On average, a NASA Antarctic mission can achieve around 20 days of flight. 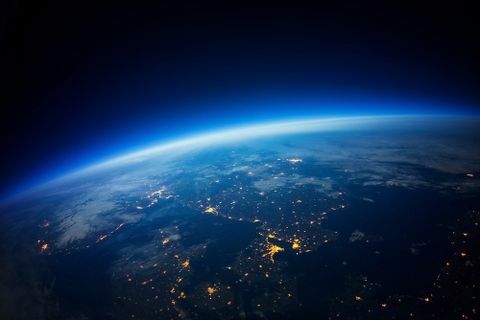 The first flight took place on November 28 with the launch of the University of Maryland’s Boron and Carbon Cosmic rays in the Upper Stratosphere (BACCUS) experiment. BACCUS will investigate the density and the chemicals in the environment between stars by studying cosmic ray particles. It has completed two circumnavigations and is currently on a third leg around the South Pole. The second flight known as the Antarctic Impulsive Transient Antenna (ANITA) from the University of Hawaii launched on December 2. ANITA has completed one circumnavigation and was more than halfway through a second circumnavigation as of December 19. Scientists will use ANITA’s instruments to study the reactions in the core of stars and as they explode via the release of high energy particles known as neutrinos that travel to Earth and interact with the Antarctica ice. A third balloon, carrying the Stratospheric Terahertz Observatory (STO-II) from the University of Arizona, launched on December 8 and is currently three quarters through its first circumnavigation. The instrument is designed to study the interstellar medium in order to better understand the life cycle of stars. Finally, two smaller hand-launched balloons deployed on December 11 and 12, carrying the High Altitude Radio Frequency Surface Reflectivity Calibration (ANITA Hi-Cal) #1 and #2 payloads from the University of Kansas. As they track the ANITA flight path, the Hi-Cal flights measure the reflectivity of the ice by emitting a signal from a suspended radio frequency transmitter. The Hi-Cal #2 flight ended on December 18 after completing one-half of a circumnavigation. 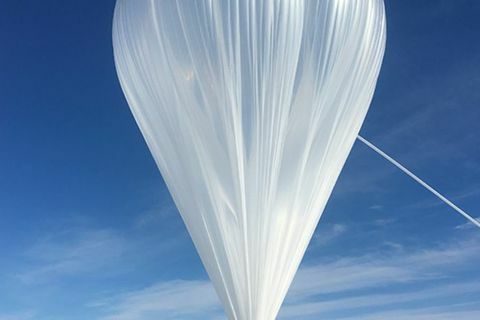 NASA’s scientific balloons offer low-cost, near-space access for payloads weighing up to 8,000 pounds to conduct technology demonstration tests as well as scientific investigations in fields such as astrophysics, heliophysics, and atmospheric research. Depending on the goals and objectives of a specific mission, balloon flight durations can run hours to multiple days or weeks for longer-term exposures and data collection. 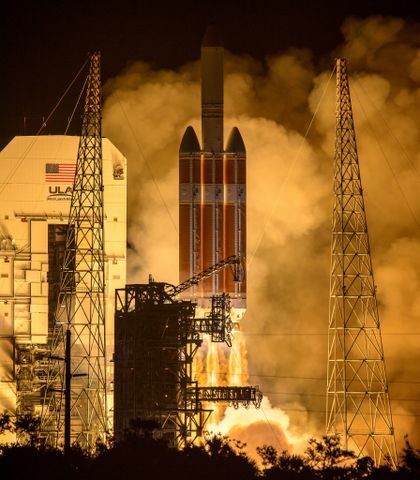 The program averages 10-15 flights each year from launch sites worldwide. This year, the NASA/Orbital ATK team recorded a total of 12 successful balloon launches.